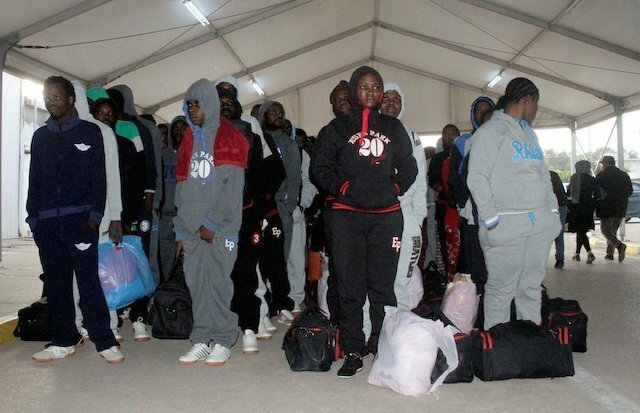 The National Emergency Management Agency, NEMA, said another batch of 139 deportees arrived the country from Libya yesterday. Ibrahim Farinloye, the South-West spokesman, NEMA, confirmed the deportation to the News Agency of Nigeria, NAN, today in Lagos. Mr. Farinloye said that the aircraft that conveyed the deportees arrived the Murtala Muhammed International Airport, MMIA, at 11:20 p.m. on Tuesday aboard a chartered Airbus A320 Afriqiyah aircraft with registration number 5A-ONA. Mr. Farinloye said that Suleiman Yakubu, the Zonal Coordinator, South West, NEMA, received the 139 returnees from the officials of International Organisation for Migration, IOM.